My 50 Program is a ready-made marketing campaign designed to keep you in touch with your best clients or new prospects. 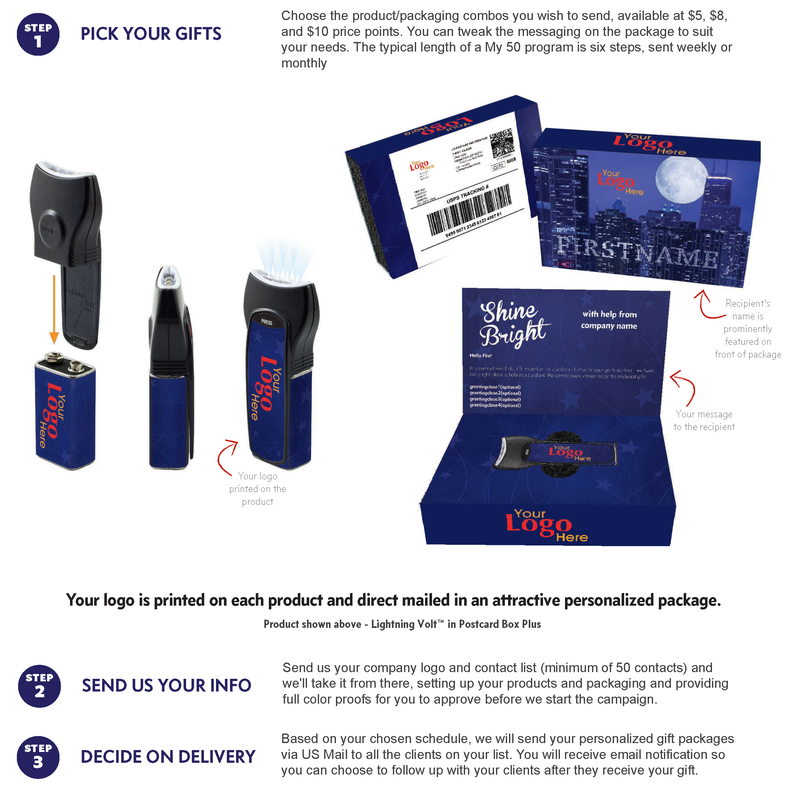 On a regular schedule, or when you like, your client will be mailed a high-quality promotional product printed with your logo in a package PERSONALIZED just for them with YOUR special message. WHY USE My 50 PROGRAM? Contact me for more details! You may do one mailing or EVERY mailing. 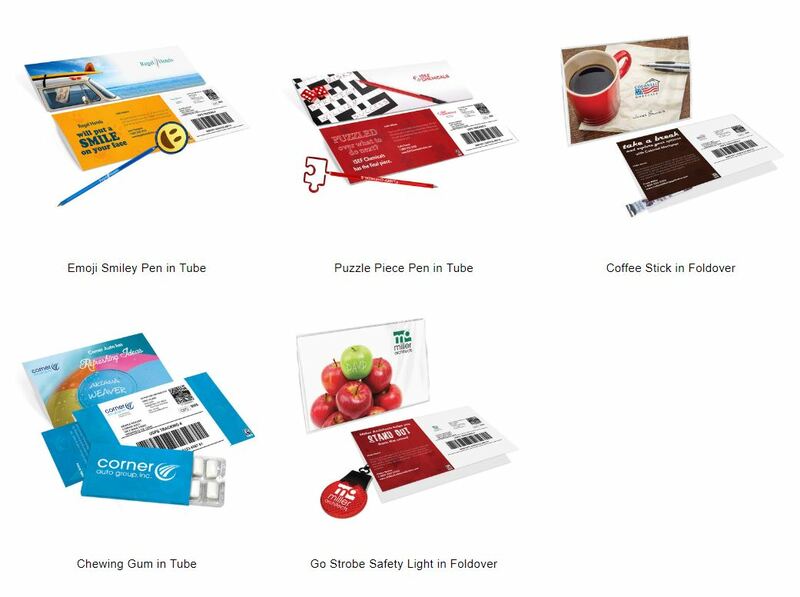 You will not find a less expensive way to offer this quality of products to market your business! Custom designs may incur additional fees.